To say that Neil Arthur is in the most prolific stage of his career would be an understatement. Since BLANCMANGE returned in 2011 with ‘Blanc Burn’ , there have been a further three long players ranging from the dark pop of ‘Semi Detached’ and the beautiful instrumentals of ‘Nil By Mouth’ to the raw minimal experimentation of ‘Commuter 23’ . And this is without the recent retrospective box set ‘The Blanc Tapes’ and Arthur’s side projects as FADER with Benge and NEAR FUTURE with Jez Bernholz. 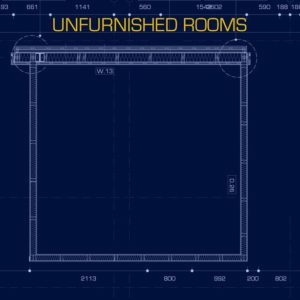 September 2017 sees the arrival of the eighth BLANCMANGE long player ‘Unfurnished Rooms’ ; co-produced by Benge and featuring contributions from renowned guitarist David Rhodes and the towering figure of John Grant, ‘Unfurnished Rooms’ is loosely based around the theme of feeling of being lost in a dream. As Arthur sings on the title track “no amount of online shopping will cover for the loss”. 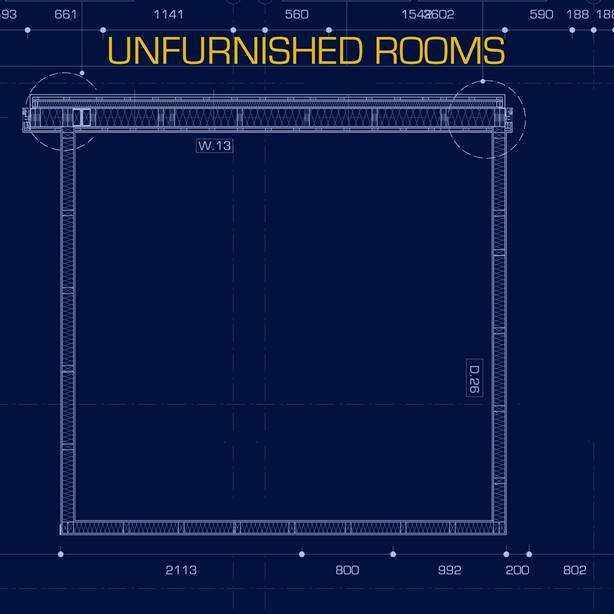 The ‘Unfurnished Rooms’ title song is a great opener, is that a metaphor for this world of joyless hedonism that society appears to be living in? I like people to make their own minds up and obviously, we are all able to observe what’s happening around us, but some of the stuff that goes on in your head, only you know about and it can take you a long time to fathom that out! So it’s not just a metaphor, the idea of unfurnished rooms can mean unfinished work or a journey as well. I noticed there are what appear to be Linn LM1 drum sounds on ‘Unfurnished Rooms’, how do you go about constructing a track these days? This album, I worked on a laptop… I write on guitar or synths and put everything onto either Logic or Ableton, it was sort of half and half. I used a variety of VSTs and a few old synths to make my noises and plus some guitar. 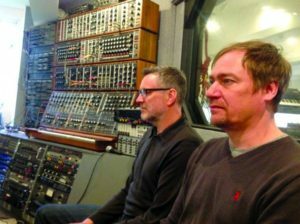 I was fortunate enough to work with Benge over the last couple of years including the FADER album and we thought it would be a really good idea for Benge to replace the VST sounds on the drum parts and rhythm sections with the real thing or analogue synth sounds. Benge has got the real equipment and not only is he a fantastic programmer, engineer and producer, but he’s also a good drummer… he played it all in so there’s a bit of movement there too. But there’s still VSTs on there and my guitar as well as David Rhodes, who’s done much better guitar than I can manage. So where does FADER end and BLANCMANGE begin, what are the rules of engagement? They are very different beasts despite both of us being involved. 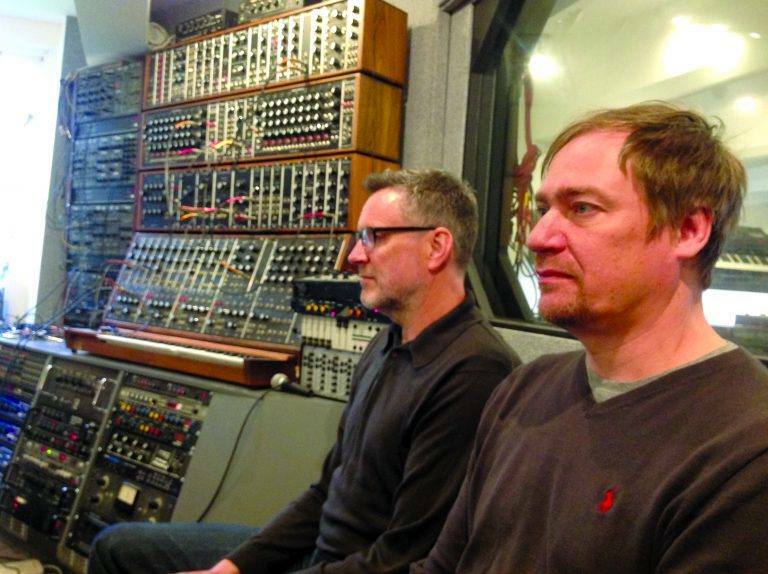 For example, the FADER album ‘First Light’ started with Benge sending me backing tracks and I responded by adding vocals and a few melody lines; after a few exchanges, we then got together in the studio to mix it. 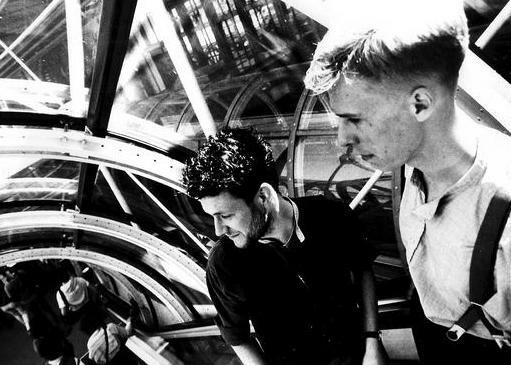 With BLANCMANGE, I write the music and record most of the parts. But in this case, I took the album to Benge and we took it apart to replace the VST rhythms with the real deal and mixed it, so there’s a fundamental difference. ‘Anna Dine’, what a brilliant title, what inspired the wordplay and the song? Everybody, no matter who they are, those months which take up quite a bit of their time, all those bits joined together for me make a kind of existence. I’m very interested in that mundane aspect of those insubstantial moments, because if there wasn’t a space, there would be nothing to hold us all together. I remembered seeing LCD SOUNDSYSTEM on TV and James Murphy was bashing away on this cowbell and it really made me laugh, I thought “there aren’t enough cowbells in songs”; so I had this cowbell thing going! 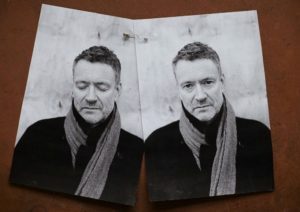 So in all the darkness that can be going on with BLANCMANGE, I was having fun with this music. This idea of a few simple lines came together about how I was feeling about things and it just came out. If people need a reference, it’s a bit like how I feel when I sing ‘I Can’t Explain’, sometimes it’s good to get it out of your system. I don’t sleep well so if I can’t, I get up and do something like write. It was absolutely pouring it down outside although it wasn’t particularly cold, so I opened the doors and recorded the sound of this rain and I just started thinking about the seasons passing. In terms of it sounding Eno-esque, there’s no intention but thinking about the stuff we did on ‘Irene & Mavis’, you end up trying to fit in somewhere and one of the big influences was ENO & CLUSTER without a doubt, as well as things off ‘Another Green World’ and ‘Evening Star’ with Fripp… when David Rhodes came along to do some guitar, he wanted to try some E-Bow over the top. It was a feeling I had, lines like “January, don’t p*ss me off, you’re just a June in a mask”, I’m having a bit of fun with the lyrics because the depths of winter can be quite difficult to deal with for some people, I just wanted to write about it. 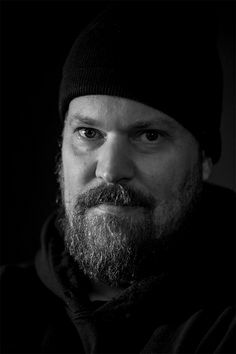 How did John Grant end up on ‘Don’t Get Me Wrong’? It was through my manager Steve Malins, he manages WRANGLER and they were doing some stuff with John to celebrate the 40th Anniversary of Rough Trade at The Barbican. Steve got talking to John who asked who else he looked after and Steve mentioned BLANCMANGE… it turned out John was a big fan and really knew his stuff. John’s got such a fantastic voice and great songs so when I heard about this, I thought “I wonder…”, so Steve passed this song ‘Don’t Get Me Wrong’ onto him and John said it would be an honour, which was flabbergasting to me! He did this piano part and sang along with the chorus with this beautiful backing, so it was an absolute delight when I got it back. I love the line in ‘Don’t Get Me Wrong’ that goes “you look so well… in your online profile”… what’s your take on using the web now for music promotion, but also how it practically rules people’s lives? This might answer your question; we were playing in Leeds with HEAVEN 17 and I came on stage. A lot of people were there which was great, but quite a few were watching us through their screen, these little screens! I just said “Watch us”, not in a conceited way, “Don’t watch that! I mean hold it there but don’t look at it”! I’m not immune cos I fall foul of it as well, the problem is that phones are now capable of so much, I write and record lyrics on it, I use it was a torch… I wish in a way I just had a phone that you could just call or text. But we’re in this post-modern world and it’s quite interesting how social media works. It’s a fantastic way of communicating with people who are interested in your music or finding out about other types of music. But because everything’s accessible immediately, everybody’s got contact… so for example, if you bought a record in the 1970s-1980s, what would you do if there was something wrong with it? …I’d take it back to the shop! Ok, so you’d take it back to the shop… so somebody buys a record now, and I think this is quite funny, I get people contacting me! I think it’s lovely and most people know I enjoy a chat and online, I answer a lot of the stuff. But this is the modern world isn’t it? Everyone is contactable and 99% of it is fantastic, and that comment did tickle me. BLANCMANGE are out on tour this Autumn. Now you’ve been back a few years, have you a photo-fit of today’s BLANCMANGE fan and have worked out a live set that can keep you and the audience happy? I could to a certain extent, what I noticed on the last tour particularly was the audience is changing in that there’s a younger element, whereas when we restarted, it was people who had seen us first time round. 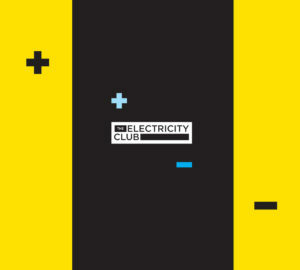 We’ve still got those people thankfully and there are inquisitive people from a different generation who are interested in electronic music. As for keeping people happy, I’m obviously going to promote the new album, but I wouldn’t be doing the new album if it wasn’t for the fact that I’d done all that music with Stephen years ago. So of course, I’d be giving them some blasts from the past. The other thing is since 2011, there’s been more material released than there was first time round. We have a very different audience now and we’re not going to get in the charts, it’s a different world. I’m not trying to play the game, I’m writing songs that I want to write. Stephen and I did that all those years ago, but we were a lot younger and that’s what we wanted to do. Now what I want to do, I’ve opened the dark door and hopefully, there’s some people who’ll get some pleasure from the stuff that’s old and new. I’ve got to be honest to myself and do what I feel, first and foremost; hopefully, people will come along for the ride. 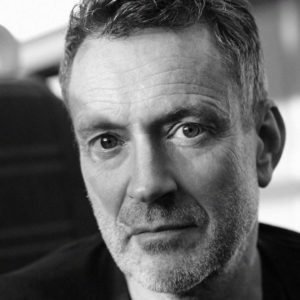 You have BLANCMANGE, NEAR FUTURE and FADER on the go, plus had the box set and deluxe reissues… how do you manage to juggle so many balls? Well, I’ve got a very good manager and I think I’m driven. I had the opportunity to work with Benge which was fantastic and I’m looking forward to doing more. We had to work out “how do we finish that and get it released?”, make sure the boxed set was running to schedule and leave a space to get ‘Unfurnished Rooms’ out, so that was time management really. I’m happy when I’m busy. So Jez Bernholz and I have been exchanging files to finish off the NEAR FUTURE album which will be due next year. I’m keen to move forward all the time. What are your thoughts on the new LCD SOUNDSYSTEM album ‘American Dream’?